This kit comprises the bare batteries only and requires installing in the battery tray - the tray is not included. 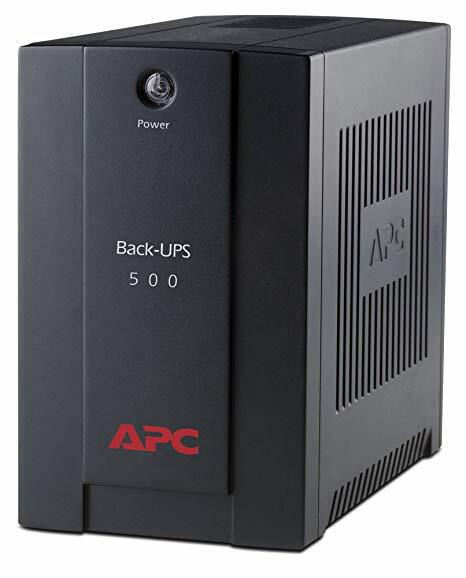 This MDS replacement UPS battery kit come with a CD-ROM which features an installation video guide (also shown below) and a installation date label so you can easily check when you may need to replace the batteries again in the future. We recommend a 3 year replacement cycle for critical applications. The batteries are mounted in a metal tray which easily slides out from the front of the UPS after removing the front trim panel and installing the replacement batteries requires only a few simple tools and minimal technical knowledge. However if you have any problems we are always here to help and you can call us free for advice or assistance Monday to Friday 9am to 5pm on 0800 310 2100. 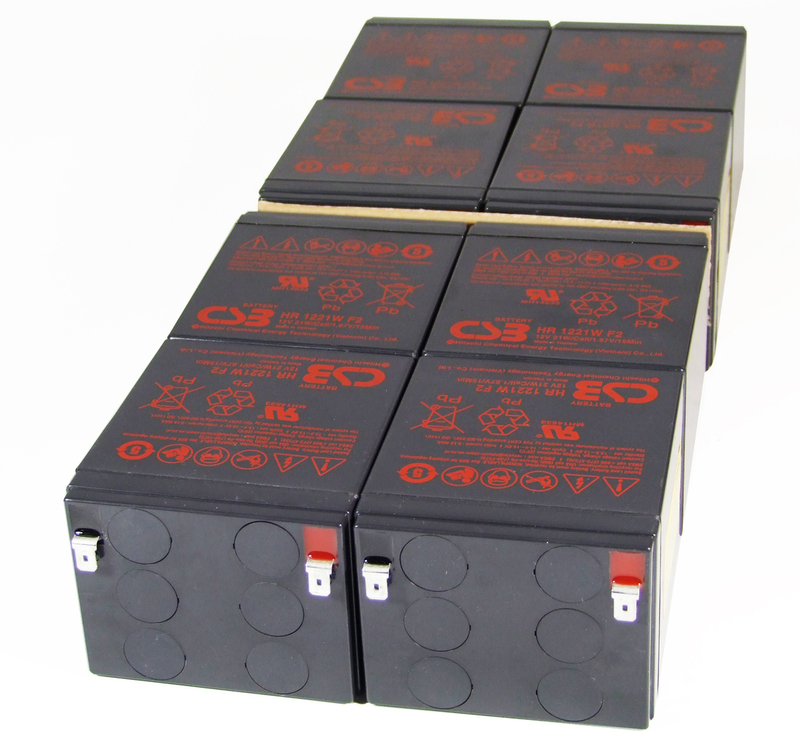 Replacement for the APC RBC43 battery cartridge. This kit consists of bare batteries only - you need to install them in the cartridge. What batteries do you use? 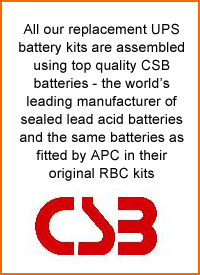 The kits are all assembled using CSB batteries - these are the original batteries that APC use when the UPSs are manufactured and we are the sole UK importer for CSB so you can be sure you are getting exactly the right replacement battery kit.